Generally, horde is not the collective noun for police, but this set really just has the right mass, even if it is way too organized. 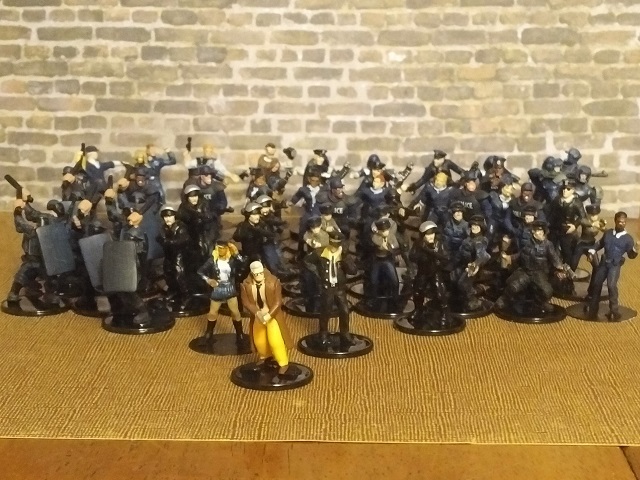 All these are rebased HeroClix that can be either organized by type (Riot, SWAT, patrol, etc) or just used as a mass of identically statted figs. 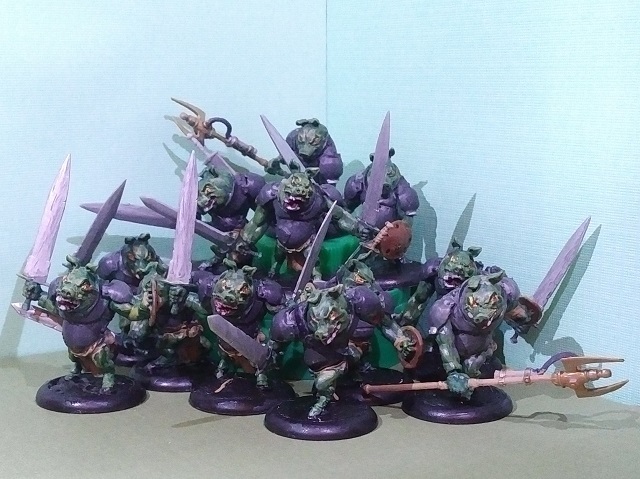 This horde of brutes was made from an unarmed HeroClix troll figure. I used a bunch of savage orc bits to arm them up. Only a few arm repositions, but with the weapon variety, it adds a little to the chaotic aspect of the group. 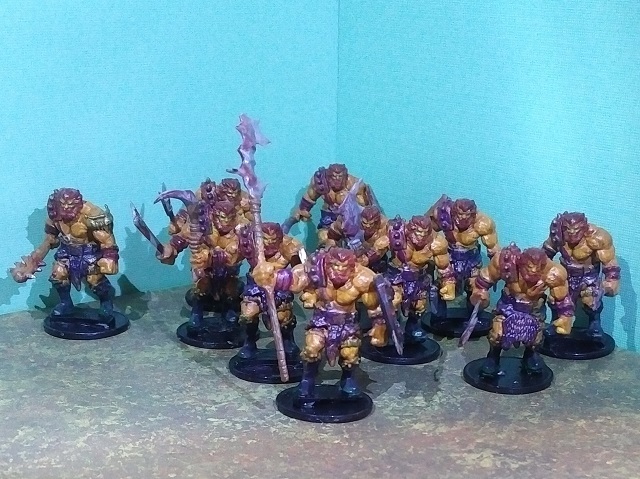 Classic D&D Orcs! 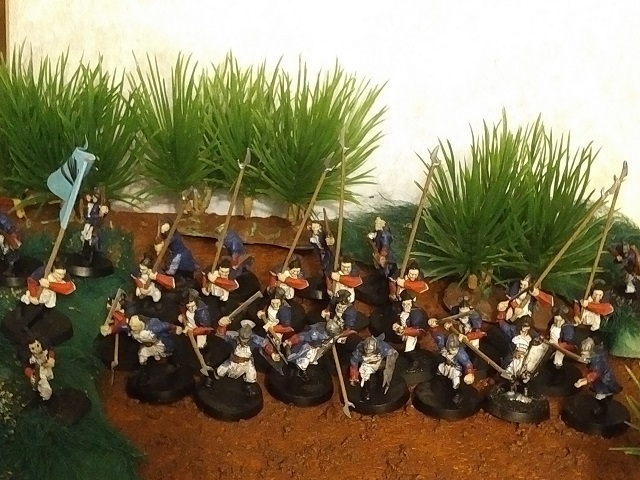 These guys are pretty much out of the box and painted up. Not sure if the intent was to make 'em green ... but Classic D&D Orcs! 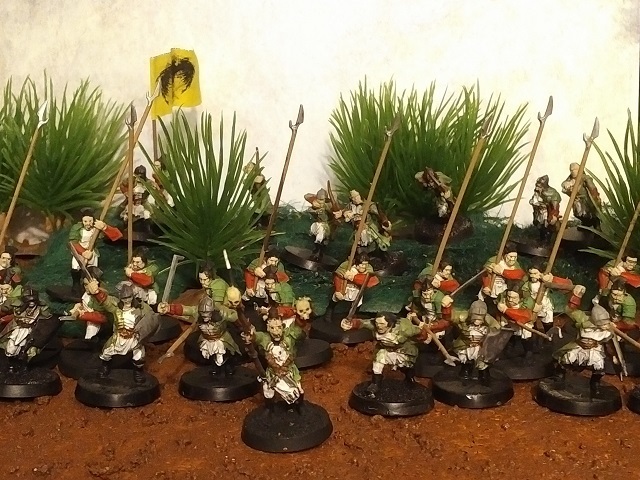 This is a sword armed agumentation to my Napoleonorc armies. 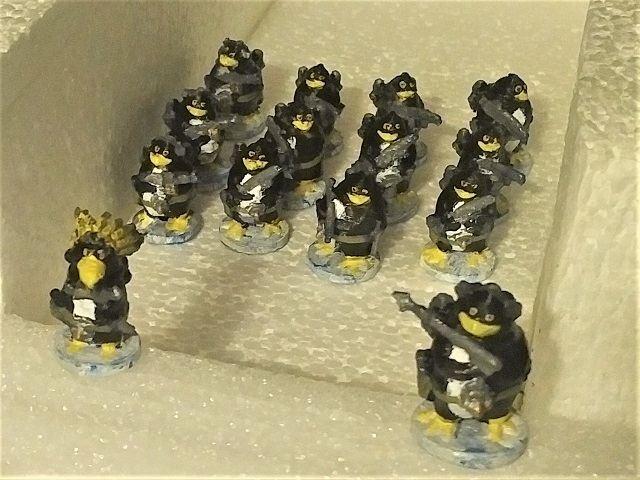 And here are some space penguins, 3D printed by Bashytubits whom I know from TMP. Since these were 3D printed, I was able to order exactly the squad I wanted instead of rooting around for bits and doing conversions. That was a nice change of pace.